The next participant for the GCPC Host Call Out is Geocacher Sarah Teesdale-Spittle aka Infoferret. She is from New Zealand and is an amazing geocacher in her own right. 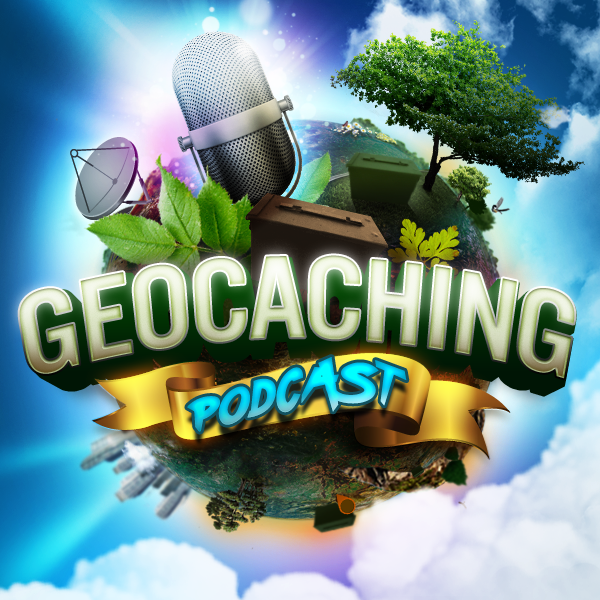 Find out if she may be our first female geocacher host for the show. Thanks for reading my last note on the air. I tried to keep it short, thinking everyone knew what a 14er was. I was glad the chat room could come through for you. I also don’t travel a lot and didn’t know if there was another way. The answer to my question was to find the GPS coordinates of the particular peak, (Google was my friend in finding the GPS coordinates for the Peaks) then use Google Earth with the Geocache option on to locate possible caches, and proximity to Fort Collins. Grays Peak is the closest and a relatively easy hike. There are also two caches on the peak, a WhereIgo, and a traditional (GCQ8XV & GC5A3EY). My final step is to see how easy they are to find. I grew up Durham (a small City in the in the North-East of England), and moved to the midlands (Nottingham) to go to Uni when I was 18. Whilst I was there I met my other half, married and settled down on the Nottingham / Derbyshire border. In 2000, he got offered a job in New Zealand, and we decided to move from a UK summer to a Wellington winter and see how it went for a couple of years. 16 years later, we’re still here! We both work in central Wellington (the capital city of New Zealand), and have two boys. One is part way through University, the other is in intermediate school. We also share the house with an elderly cat, and far more books than we need (all of us at fault here), orienteering and other outdoor gear gear (the others) MTG cards (the boys) and knitting and sewing stuff (mine, I must admit). The rest of the family are heavily into Orienteering. I liked going to interesting areas most people never get to, but having to run around once I got there? Not so much. Anyway, back in 2012 there was an article in ‘Wilderness’ magazine (compulsory reading for the rest of the family), about a GPS based activity. I’d just got a smartphone for my birthday, discovered it had a GPS, so I thought I’d give it a go. Not the best of starts, as I tried to find the cache at night, in the rain, and not surprisingly got nowhere. Two days later, in daylight it practically waved at me, and I was hooked! I‘d lived in Wellington for over 10 years, so I thought I knew my backyard pretty well. Oh no I didn’t… I spent the next few months finding out more about my city , its people and history than I ever thought possible, and 4+ years later I’m still fascinated. This has got me to more areas than I thought possible. Without geocaching no way would I have been up before dawn heading out to an obscure track, or joining the rest of the family (or others) on a multi-day walk, carrying everything with me. I managed a streak of over a year a while back before being defeated by the final of a night cache….it’s a balance between obsession and spending time with the family! Why my caching name? Well, I didn’t fancy being something like ‘Sarah 910’, wanted something fairly gender neutral, and I was doing a course on Information sources at the time – hence info seeking / Infoferret. I still get a buzz from grabbing that last elusive bit of information to crack open a puzzle! What is it like to geocache in New Zealand? Geocaching in New Zealand has pretty much something for everyone, from Park and Grabs (although fortunately not too many lamp post skirt caches), through to Terrain 5 caches that mean what they say and everything in between. Most of our forest is ‘bush’, which is not easy to walk through – you follow the tracks to get where you want to be if you’ve any sense! I’ve done most of my geocaching around Wellington, with 7 cache types within 10km of home (plus a CITO and an event this weekend), and the 4th oldest traditional cache in the world (GC46) is within 16km (and was my 1000 cache). There’s everything from a stroll through the CBD (good for Magicarp by the waterfront), up the hills for a bit of a workout, and several excellent MTB parks to explore. Most of the Greater Wellington area is readily accessible by bus. I’ve done a fair bit in the lower North Island, and some of the South Island. My son dragged me up Mt. Ngauruhoe (Mt Doom in Lord of the Rings) a couple of years back. There is a Geocache near the top. Unfortunately, I’m going to have to head up there again as somebody has placed a cache on the way up there – but the views are well worth it if the weather is right! Unlike Australia (and you folks in the US) there’s not too much to beware of – no snakes or bears, and although there is an exceedingly rare venomous spider, the last death from a Katipo bite was in 1901. There is a nasty stinging nettle called OngaOnga, and sandflies (midgies) can be a problem, especially on the South Island – those bites are itchy! This means that you can search for caches hidden under rocks or in tree stumps without problems. In a couple of weeks, there is GC63PZN New Zealand Geocaching Adventure 2016 – it got MEGA status a couple of weeks ago ! This will be on the 22nd – 24th October. There’s the usual programme of activities (including a couple of workshops with Cully Long), and a fair number of caches in the area, including a 50 cache power trail with a LOTR theme, which should take up most of a day by itself.